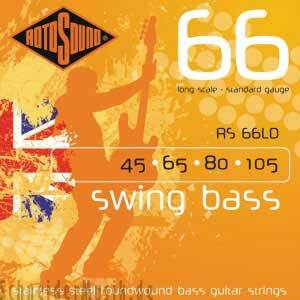 Swing Bass 66 - One of the most popular Roundwound bass string ever, being favourite string of many players including Billy Sheehan, John Paul Jones and Geddy Lee. Rotosound was the first string company to produce this kind of string. Introduced in 1962 it changed the sound of the instrument instantly. Made of unique steel.